It’s very typical for couples to get into routines, however boring, especially after being married for a number of years. My architect husband Chuck spends his day designing, fielding phone calls, solving problems, visiting the Building Dept., budgeting and performing numerous other tasks that I cannot begin to comprehend. By the end of the day he wants nothing more than to have some dinner in front of the TV or at the computer, usually with the TV on as background noise. My job as a traffic reporter/radio personality is not nearly as complex, but it still keeps me on my toes. By the end of the day I want to simply make dinner, then veg out the rest of the evening, either in front of the TV with Chuck, or, preferably with a stack of magazines and a glass of wine. Sitting and watching TV together can be enjoyable for me several times a week, but not every night. 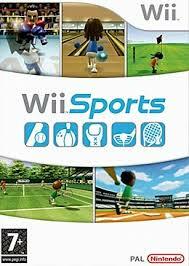 I decided last week that I wanted to implement what will be further known as Wii Wednesday. Yes, it still involves a TV screen, but in this scenario, we are up off the couch and on our feet, utilizing one or more various games that came with our original Wii set-up: Golf, Tennis or Bowling. Dinner must still occur at some point, so why not make it simple and fun with appetizers not unlike the pub grub one might encounter in a more upscale bowling alley — a French bowling alley in tonight’s case, as I am making escargot, baked brie, and mushroom tartlets (the latter from Trader Joe’s). Of course there will be libations. Last week we had margaritas with our rolled tacos with beans and rice. Tonight’s menu calls for wine (yes, yes, I know I am just getting over the flu; make your point). To be honest, we sort of had to dust off the Wii set-up, as it had been months since we fired it up. Wii Wednesdays will become a staple in our house (until it, too, gets monotonous, which could take a while, and we have other games beside Wii Sport). Food, drinks, mild exercise and lots of fun. The fact that we’re expecting rain tonight makes it all the sweeter. No more collecting dust — on the Wii or in my marriage.